Christian Pulisic has shrugged off the USA's failure to reach the 2018 FIFA World Cup and the peaks and troughs of Borussia Dortmund's season to continue making forward progress this season. bundesliga.com breaks down the teenager's 2017/18 Bundesliga campaign, which — despite appearances — has been his best yet in Germany. 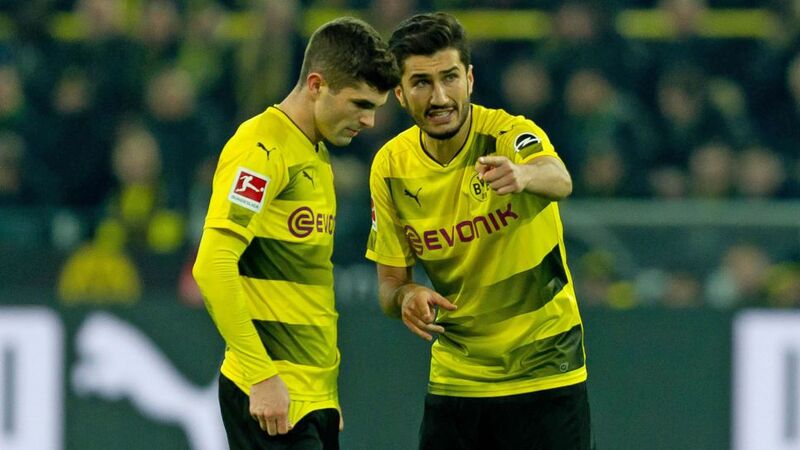 Naturally, Dortmund's rollercoaster of a campaign caused Pulisic a few bumps along the way — there was a ten-game goal drought in the Hinrunde — but the current season should be best remembered as the one when the USA international made a first-team spot his own at the Signal Iduna Park. Marco Reus' injury-enforced absence was both a blessing and a curse: reducing competition for places, but increasing the burden on Pulisic and the focus on him from opposing teams, something his triumph as US Soccer's youngest-ever MNT Player of the Year only intensified. Coach Peter Stöger even felt it necessary to rest Pulisic around the midpoint of the season he was playing so much, but that still did not stop the Pennsylvania native making a significant contribution to BVB's top-four challenge. His winner in the Matchday 17 defeat of Hoffenheim to give his team badly-needed momentum for the Rückrunde, and his game-defining display in the five-goal thriller with Eintracht Frankfurt on Matchday 26 stand out as highlights. His numbers - and certainly not his height - may not be in the same ballpark as his NBA idol, Cleveland Cavaliers' LeBron James, but the USA international can still puff out his chest over his 2017/18 stats. After just over 1500 Bundesliga minutes last season, he has tallied well over 2000 this term. His 25 starts — compared to 2016/17's 15 — underline the elevated status he has earned in the BVB squad. The Hershey-born attacking midfielder has netted four goals — one more than in 2016/17 — added a team-high six assists, and moved beyond the half-century mark for Bundesliga appearances. "I'm working hard and trying to help the team when I can. I have to stay positive, keep working and things will turn around again," - Pulisic when he was left out of the team mid-season. "When he plays, everything seems so simple and normal. I want to be like that too. He's only two years older than me, but what he has already achieved with the USA, despite the huge pressure on him, is an inspiration for me," - Dortmund team-mate Jadon Sancho.